Bara Magna is a harsh desert land, sparsely populated by Agori villagers and their Glatorian protectors. The Agori live in a handful of villages and use Glatorians to settle disputes and win scarce resources. Once a year, all Glatorians would come to the Arena Magna and challenge one another to see who was the best. But that was before the Skrall rebelled and destroyed the Arena Magna. Now, the Skrall tribe who live in the northern village of Roxtus openly roam the desert, attacking caravans of Agori and stealing anything they can get their hands on. Glatorians are captured or left to the mercy of the hot desert sands. Into this unsettled land one evening comes a bright streak, a flaming meteor that streaks through the sky near Vulcanus village. Curious eyes track the white-hot object while it plummets to the ground and plows a crater into the desert. As it cools, the Kanohi Ignika, Mask of Life and container for the consciousness of Mata Nui, rises up in a whirlwind of sand and light. A body forms beneath the mask, a golden seven-foot tall figure. As the light fades, the figure settles to the ground and stumbles. 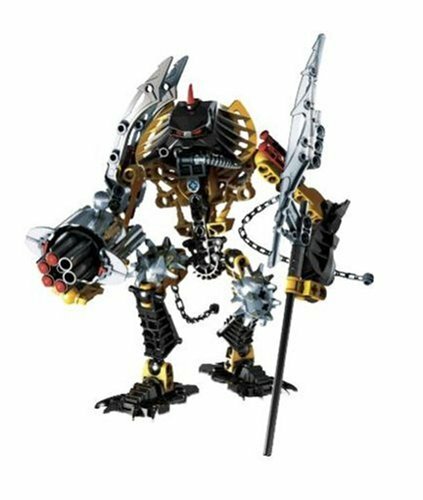 Mata Nui is not used to a mere seven foot tall body; his previous form towered miles above the waters of Aqua Magna, and this one would take some getting used to. His first acquaintance is a small scarabax bug. Unsteadily, Mata Nui just manages to avoid stepping on the tiny insect, and is rewarded when the scarabax touches the Mask of Life, which transforms the insect into a gleaming shield. Mata Nui’s second acquaintance is not so friendly – a Vorox attacks, and even with his new shield, he barely manages to defend himself from the snarling creature. Mata Nui finally receives some answers when Metus, a travelling Agori, pulls up in a cobbled-together vehicle and drives him to Vulcanus village. Metus explains about Bara Magna on the drive to the fire village. There is a lot for Mata Nui to learn. Eager to continue his search for a way to help his people trapped in his former mechanical body, Mata Nui tries to take his leave of his new friends. But Ackar offers to help train Mata Nui, who recognizes the need to be able to handle himself in this strange new world. And after training, he recognizes their plight, and agrees to help them in their struggle. Mata Nui, Ackar, Kiina, Gresh, and Berix travel to Tesara, where a Glatorian tournament is about to be held. Ackar stops the match to tell the crowd about the destruction of Tajun at the hands of a combined Bone Hunter and Skrall raiding force. At first the crowd refuses to believe, but eventually they come to understand what has happened. Ackar wins support for stopping the Glatorian matches and pooling the strength of their villages. They will need all their combined resources to survive against two powerful enemies. Kiina spots Berix slipping out of the village, and suspecting him of being the traitor, follows and confronts him. Berix pleads innocence. Kiina only believes him when a dozen Skrall and Bone Hunters surround and capture them both. Metus runs back to Tesara with the bad news. 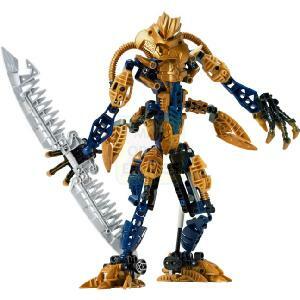 Mata Nui refuses to let his friends be held, and tells the Glatorian that he will rescue Kiina and Berix. “I was once forced to abandon my own people. I will not do so again.” Although skeptical, they finally agree. Before he leaves, Mata Nui watches the twin village of Tesara being pulled together. Then, he sets off alone toward Roxtus. Awesome choice man.... i wish i had it lol. Welcome to Toys "R" Us all you Toys "R" Us kids out there! Bionicles have invaded Toys \"R\" Us! Stop by and see the new creatures and learn the dark stories of where they come from. Click on the image to visit and see the site updates!